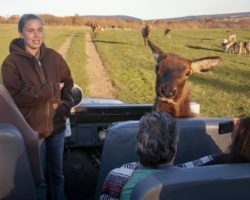 Upon your arrival at Nookside Stables in Manheim, PA you can expect to be greeted by seemingly endless wooden fences, horse-grazed pastures, and a posse of cats that act like they own the place. From the sign announcing the entrance to Nookside along Landisville Road, a driveway winds through a tree-lined path, passes by the owner’s extensive home, and concludes in a parking area between an old stone barn and newer stable known as the “Hayloft.” Visitors check in for their adventure in the upper room of the Hayloft, which is located at the top of a set of wooden stairs. 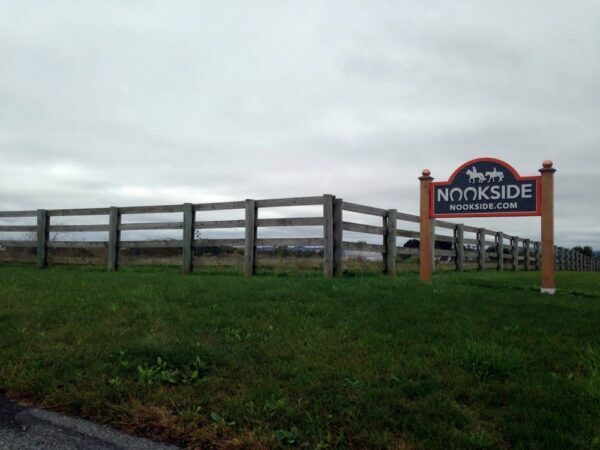 Nookside Stables is located directly behind Spooky Nook Sports Complex in Manheim, PA.
A friend and I arrived at the Hayloft at the suggested 20 minutes before our scheduled ride at 9 a.m. 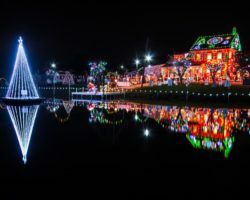 While no employees were in the check-in location at the time of our arrival, we had time to look around the gift shop, meet the friendly felines, and socialize with our fellow adventurers. Our guides arrived around 9 a.m. to fit us for helmets and to take care of payment. While payment is processed on site, online reservations are required before arrival as group sizes are limited. 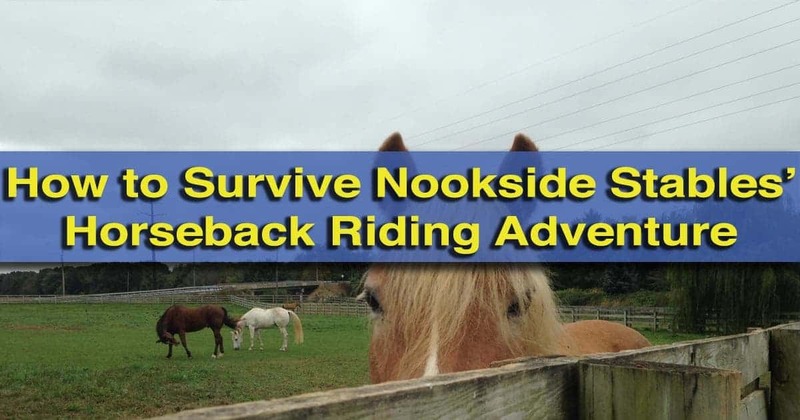 Reserve a saddle for a horseback riding adventure by visiting the calendar for Nookside Stables. 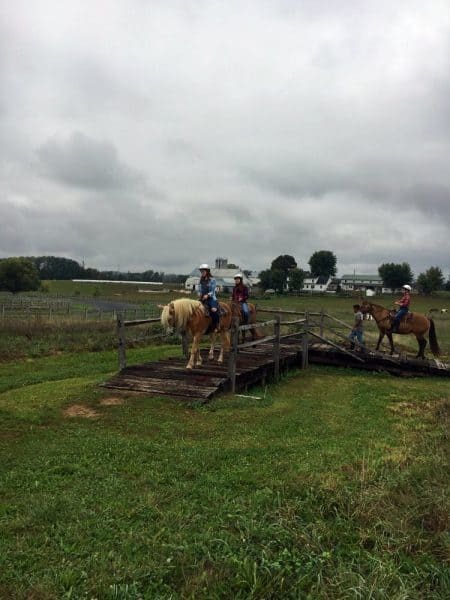 Nookside Stables’ horseback riding adventure starts at the Hayloft. On the morning of my visit, our group was made up of five customers and two guides. This small group size allowed for a personal experience as the employees were willing and available to answer any questions about the horses, offer tips for riding, and create an overall comfortable experience. 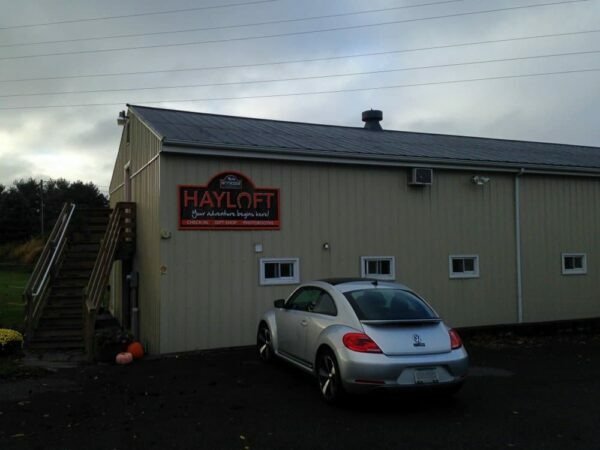 After checking in at the Hayloft, the members of our group returned any belongings to our car. No phones or cameras are allowed on the course for safety reasons. Also for safety reasons, riders must wear closed-toe shoes and are encouraged to wear long pants. With those detailed sorted out, our group climbed into a wooden wagon attached to a vintage Ford tractor. 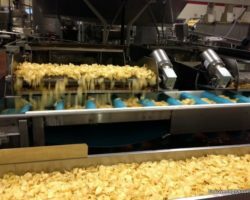 The hum of the tractor immediately drowned out the background highway noise produced by the nearby Route 283 and set us off on our experience. 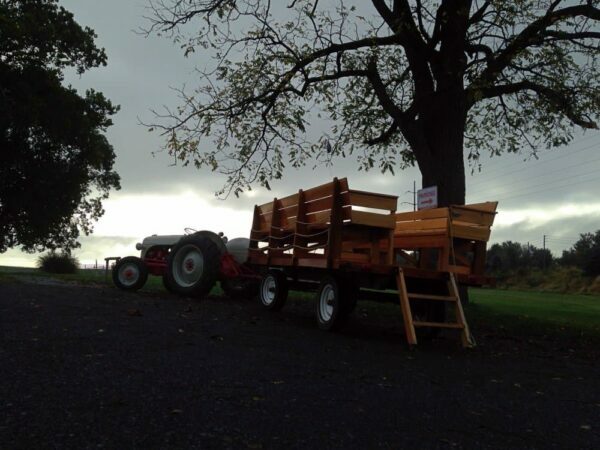 An old-fashioned Ford tractor and adjoining wooden wagon take visitors from the Hayloft to the horses. The wagon ride took up to a fenced pasture where the horses waited in a stable. The Nookside employee guides matched each rider up with a thoughtfully named horse. I had the honor of being paired with Flicka, one of the more reserved and mature horses whose greatest quirk is a distaste for flies. In addition to more general riding instructions, the employees at Nookside Stables informed each rider about any unique tendencies of their horses. For instance, I was warned that Flicka often shudders or kicks her back legs when a fly is bothering her, which I experienced later on and appreciated the foreknowledge. Our instructions before getting started were simple but thorough enough to make me feel confident and ready to take on the adventure course. One employee guided our group throughout the course on a pony of her own while the other walked alongside for support and assistance. 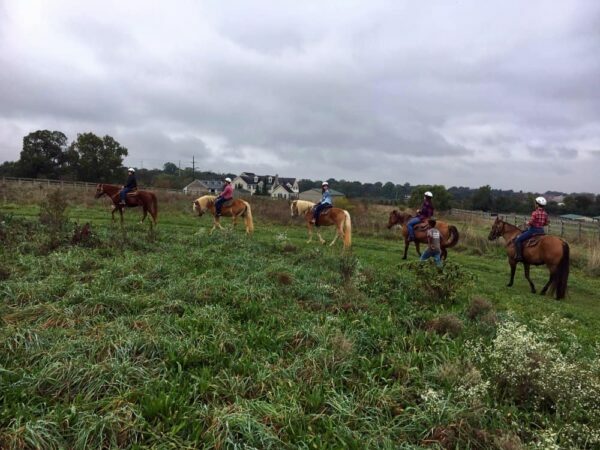 The horseback riding adventure course at Nookside winds through a field of grass paths. The course itself winded through several fenced-in sections of grass, cut close to the ground to mark the path. Hay bales, wooden logs, railroad ties, and pool noodles created obstacles. My personal favorite obstacle was referred to as the mine field, because we were given the freedom to direct our horses through a series of hay bales on a path of our own choosing. As we progressed through the course in a single-file line, the well-trained horses did not require much direction. While this structure and slow pace may hold back an experienced rider, beginner riders such as myself will probably appreciate this amount of control. Our knowledgeable guides told us that the massive but docile creatures weighed over a thousand pounds, and just sitting on them produced an admiration for their power. Our time riding the horses and progressing through the course lasted about an hour. Throughout the course, our guides also served as photographers, snapping pictures which would later be made available to riders online. The obstacles within Nookside’s adventure course are simple but enjoyable for the entry-level rider. We returned the horses to their stables where we bid them adieu with a treat. Riders then had the chance to toss orange horseshoes, symbolic of the Nookside Stables logo, at metal stakes with the hopes of winning a prize. No one in my group successfully hit the stakes, so the prize remains a mystery. A short tractor ride later, we arrived back at the Hayloft where we returned our helmets, took pictures by a “We Survived Nookside” wall, and signed a densely populated wall of visitor signatures. At that point, our horseback riding adventure was complete. As a whole, my time at Nookside Stables was peaceful and relaxing. 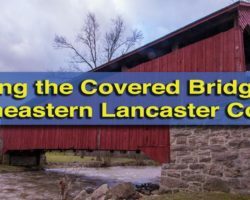 The slow pace, small group size, and organized structure make for an enjoyable taste of Lancaster County and offered an oasis from the busyness of the highways and commercialism located so close by. 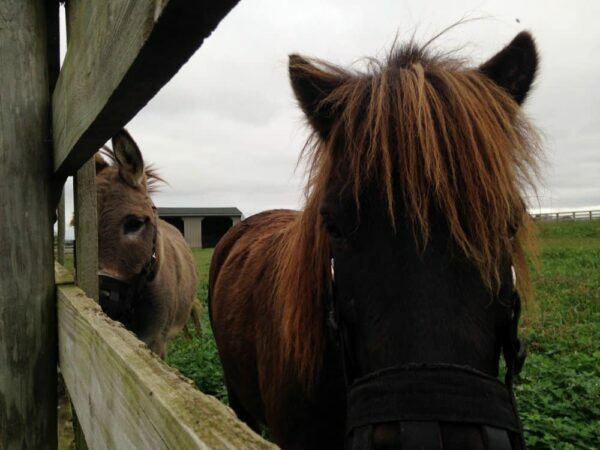 In addition to horses, donkeys and miniature ponies also call Nookside Stables home. 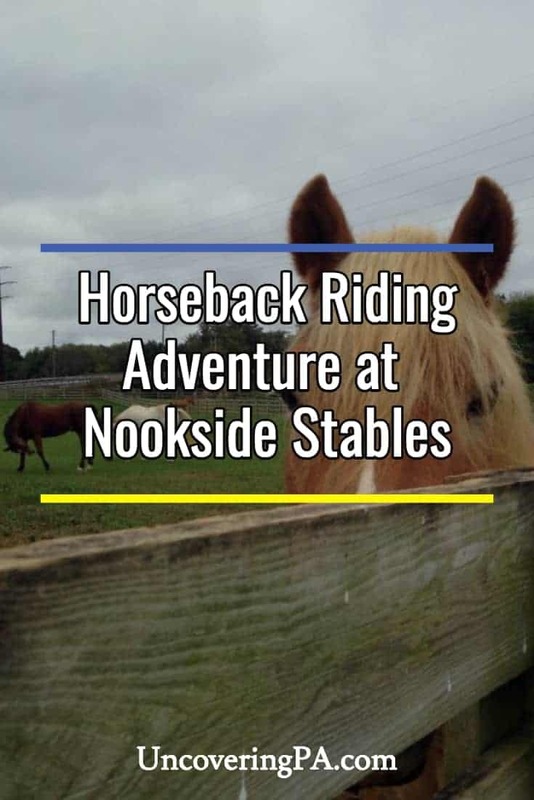 While Nookside Stables started as Mumma’s Stock Farms, Don Hess maintained much of the 47-acre farm’s authenticity when he opened the horse-riding business in 2015. The farm and its employees create a welcoming atmosphere that contrasts the sometimes pretentious world of equine activities. I believe any child over the age of 10, as dictated by the stables, could handle the horseback riding. Hesitant or younger children may opt for a wagon and pony ride instead. 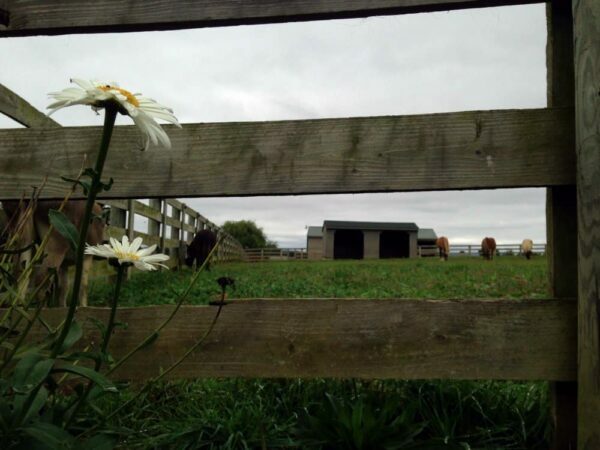 The natural and authentic beauty of Nookside Stables creates a peaceful setting. With that said, I believe visitors of any age could enjoy a visit to Nookside Stables. From the friendly cats and gentle horses, to the stone barn and extensive grounds, this destination is relaxed, authentic, and organized. The guidance of knowledgeable employees make even amateurs such as myself feel confident, but the course may be a little basic for more experienced riders. 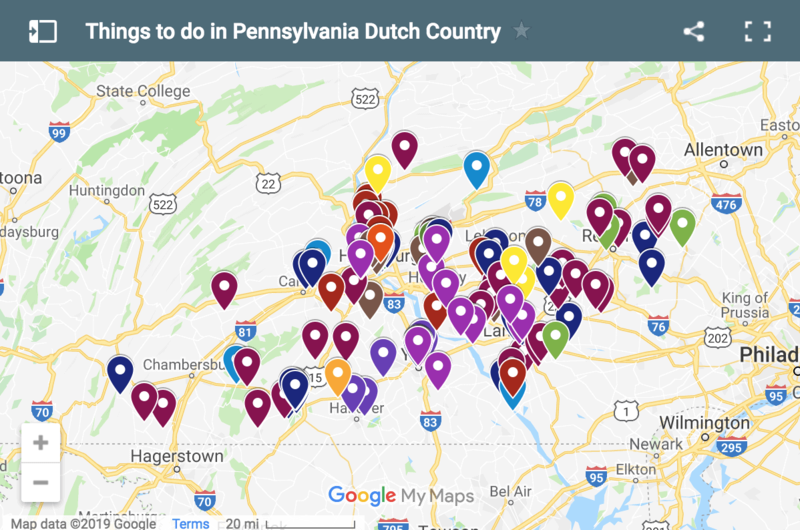 Both citizens and visitors to Lancaster County should consider a trip to Nookside Stables in Manheim, PA to experience the beauty of the region via horseback. Note: My visit to Nookside Stables was hosted by the stables. However, the opinions expressed in this article are my own.